Gratz on being able to go there! I wanted to go there last year but couldnt. We moved up to Alaska from Kansas over the summer and I havent shot my bow in 7-8 months. 😦 I hope all of this snow and ice will clear by march so I can get out and shoot! Good luck! It is so cool seeing you here Emma! I hope you have a good camp. If I can help to make it better in any way, please let me know! Btw, PSE has been especially kind to the Yamaguchi family for many years. We got started with them because I had a shoulder impingement in my bow shoulder because of bad form and arrows that were too short (and some stubbornness thrown in). I heard that the PSE X-Factor was a good bow with great balance, light weight, and had a soft feeling shot. I purchased one at the Las Vegas World Archery Festival, and it enabled me to continue shooting while my shoulder healed. Then my son Nathan (a Cub at the time, now an RA archer in Chula Vista) wanted to borrow my bow to shoot in the Indoor Nationals, and he did very, very well. So we bought another X-Factor on eBay for him. That blue bow brought him success at Outdoor Nationals in Oklahoma, and all the way to the Junior World Championships in Ogden, Utah. One of the designers of the X-Factor, David Kronengold, gave Nathan another one to use at the Junior Worlds, and one to Karissa as well after watching her shoot one tournament. When he told us that he was designing a new bow, that he wanted Nathan to try, we were very excited. He sent two X-Appeals soon thereafter, and later gave a 23″ to Karissa as well, followed up with a 25″ when she grew. Mr. Kronengold is an MIT educated engineer who is an avid archer (mostly compound these days). The other brain behind the recurve bows is Alan Rasor, a top recurve shooter back in the 70’s. Between them, they have decades of archery bow design experience and the smarts to create an exceptional product. 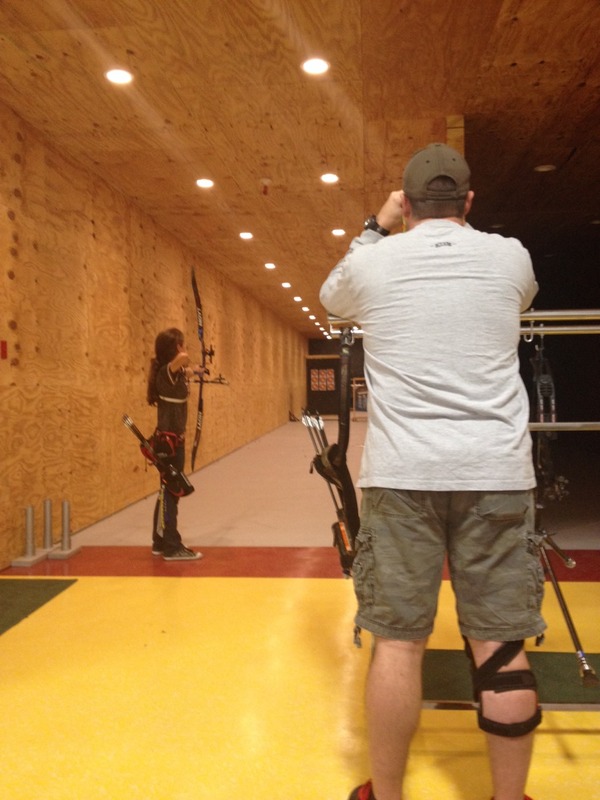 Today, Nathan still shoots his X-Appeals though he has tried other bows made by Hoyt in the meantime. I also shoot an X-Appeal and love it’s soft feel and fast arrow delivery. It is a snap to align and tune, and the alignment system stays put for most people, and with a few additions (I make custom bushings for them) it will stay put for everyone. We have been shooting Xpression limbs by PSE since they came out (5 to 6 years?) with 7 pairs going through the family. We’ve never had one break while shooting. One pair developed a small hairline crack, and mine had a sliver of graphite split off once, but a file and some sandpaper fixed the latter problem. These are reliable, fast, and accurate limbs with a quiet sound. They were made by Win and Win to the specifications and core design of PSE, and are pretty impervious to changes in weather and temperature. All three of us have to shoot arrows that are two spines stiffer than the Easton chart recommends, I think because the bow is really fast. These bows are also very forgiving of mistakes, which I appreciate because I am far from perfect in my form and releases. So, fast, reliable, and forgiving… What more could you want from a bow? There are a couple of things that we do to really get a lot out of our PSE bows. You can get extra limb bolts and cut the ends off 1/4″. Using the shortened bolts lets you screw the limbs down and get another 2 to 4 lb out of them. The arrows really fly well this way, though I think it is harder on the limbs. Both of our limb “events” happened on risers with shortened limb bolts, after several years and thousands and thousands of shots. Second, ask Coach Terry Laney of the JDT staff for a clicker mount extension. It’ll move the clicker mounting hole further forward so the clicker can reach the end of the clicker bar. And last, make sure you customize the wooden grip to fit your hand well. After Nathan got his just right, we made a mold of it from a kit given to us by Mel Nichols. The plastic grips worked so well that I even use the one made for Nate’s hand. I simply shoot better with it. Sorry I didn’t get to read all of this in camp or I would have asked you questions there! With the clicker mount extension, do you mean to use it now on my current bow or when I get the PSE?